Pressure groups who promote Israel’s interests in the US — cunning watchdogs over the public discourse, forever spoiling for a fight — do not know when to cease and desist, nor why, after they’ve dug a hole for themselves, their best course of action is to stop digging. To say there has never been — not in years, perhaps ever — a greater display of zealous overreach, unrestrained hubris and, yes, boundless chutzpah than what these folks have shown in pursuit of their cause is a perfectly rational statement. 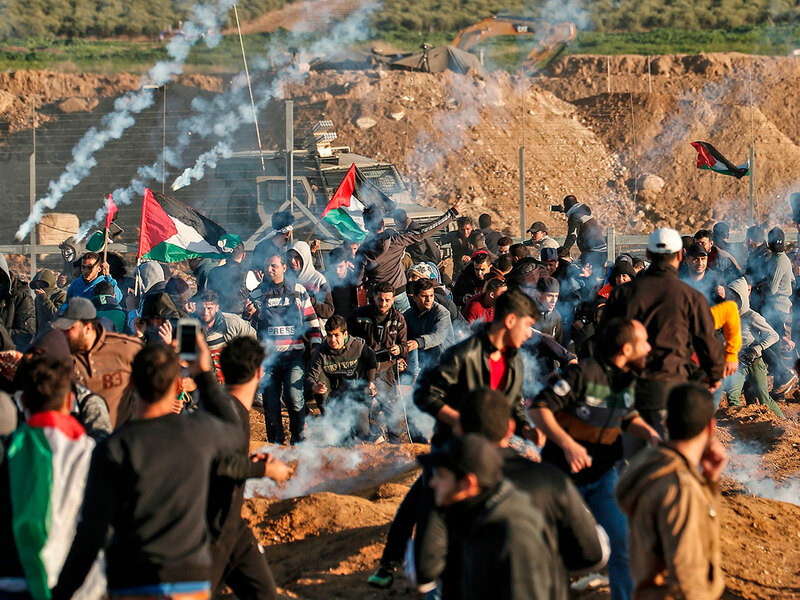 In their grim tenacity, they see no institution, however august, and no individual, however prominent, above targeting for attack, were that institution or that individual suspected of being critical of Israel or, conversely, supportive of Palestine, regardless of how justified the criticism or mild the support. Such a posture, however, has consequences, for there always comes a breaking point where even Americans who had hitherto given, albeit wearily, that posture welcome embrace, will begin to feel appalled. An inkling of that breaking point came last week when these determined, single-issue advocates launched an assault on Angela Davis, the African American intellectual icon and counter-cultural legend, after the Birmingham Civil Rights Institute, the most respected research centre and interpretive museum in the US, devoted to depicting the history of the civil rights movement in the 1960s and 1970s, which earlier had chosen to honour the 74-year-old Davis with the Fred Shuttleworth Human Rights Award — calling her “one of the most globally recognised champion of human rights, giving voice to those powerless to speak” — rescinded its decision. The mayor of Birmingham, who also sits on the institute’s board of directors, cited “protests from our local Jewish community and some of its allies” as the reason for stripping a celebrated figure who had in her time embodied the spirit of the Black Power movement, of the award. The complaint by this “community and its allies” revolved around Davis’s vocal support for the Boycott, Divest and Sanction (BDS) movement. One group published a 1,200 word article in its mouthpiece, Souther Jewish Life, detailing “Davis’s consistent support for BDS” (the claim advanced as if it were evidence of a crime), and another, the Holocaust Education Centre, wrote a letter directly to the institute’s board expressing “concern and disappointment”. And all this was taking place in Birmingham, the city that had played a crucial role in the civil rights movement and where Martin Luther King was arrested in 1963 for marching with his followers against the treatment of black Americans. But the fallout was immediate. Three members of the board resigned in protest, followed by widespread condemnation from activists, scholars and donors around the world. Overreach, hubris and chutzpah, I say, have consequences. As for Professor Davis herself, she kept her cool, later taking to Facebook and calling the annulment of the award “not an attack against me but rather the very spirit of the indivisibility of justice”, adding that “I have indeed expressed opposition to the policies of the state of Israel, as I have expressed similar opposition to US support for Israel’s occupation of Palestine”. These groups, to be sure, are not concerned so much about whether Israeli goods are boycotted, as they are about whether BDS activism would eventually insinuate into the Euro-American public discourse the provocative idea that Israel, like South Africa before it, is an apartheid state. Oh, what has BDS wrought since its founding in July 2005 as a last resort, grassroots effort by young Palestinians who were convinced — as they watched an ineffectual Palestinian leadership, happily asleep at the wheel — that it was time to adopt a re-framed concept of how their people’s struggle should be conducted! In August last year, Nathan Thrall, the prominent American journalist, wrote in The Guardian arguably the most astute article about BDS, that I quote from here at length. “For American Jews”, he said, “BDS has become a symbol of evil and a repository of dread, a nefarious force transforming the Israel-Palestine conflict from a negotiation over the end of the occupation and the division of the territory into an argument about the conflict’s older and deeper roots: the original displacement of most of the Palestinians, and, on the ruins of their conquered villages, the establishment of the Jewish state. The emergence of the BDS movement has revived old questions about the legitimacy of Zionism, how to justify the privileging of Jewish over non-Jewish rights, and why refugees can return to their homes in other conflicts but not in this one”. In the marketplace of ideas, the idea that speaks cogently to, about and from the exemplar of justice is destined to will out. Angela Davis spent a lifetime writing about that. Fawaz Turki is a journalist, lecturer and author based in Washington. He is the author of The Disinherited: Journal of a Palestinian Exile.